I do not support this new "leak" for the Super League. All of the ring-fenced clubs are global forces in their own rights. They have big grounds, many fans, high revenues, recent success, and world-class players in many positions. However, it's apparent that the only reason for this revelation is money. Some decry the contemporary state of football, vis a vis the monetary facets of it. I believe on balance, it's better than "old school" football, especially in the 1970s and 80s. Yes, there was less money involved, and it was more rooted soul, community, and passion. However, football now is available on TV or online on a near 24/7 basis and was hardly shown much on TV in the 1980s. Moreover, racism has declined in grounds (in England at the least, though there are more stringent efforts to curb this in other countries compared to past eras), and women feel more comfortable to attend games. There is far less societal stigma over women enjoying, playing, and liking football, compared to past eras. Stadia also are in better shape and have superior facilities providing a nicer experience for fans. And more money has signalled a greater scope in seeing players from around the world and has arguably expanded football's reach. 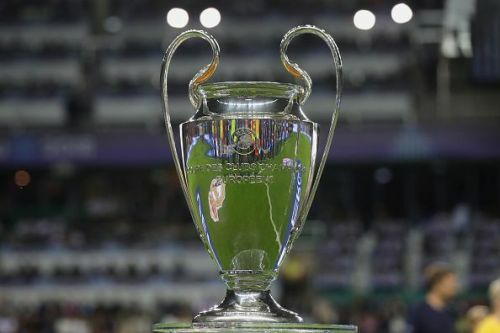 Would the UCL survive a possible European Super League? Contemporary football is not perfect, but on balance, the progress since the 1980s has been positive. Who defines what an elite club is? Football's glory, in part, is rooted in progression, advancement, and anything happening. Leicester City, Montpellier, Deportivo La Coruna, etc. are teams in England, France, and Spain respectively that are not traditionally amongst the largest in their countries. But they all have won the Premier League, Ligue 1, and La Liga within the past twenty years. Could this happen again? One also cannot ignore the grassroots of the game, or even non-league set-ups? Would they be extinguished? This would have a major effect on the game and make it essentially unrecognisable. That said, talk of some kind of Super League has been on the agenda for some time, and this is no surprise. However, the make-up and constitution of this supposed grouping are concerning, to state the least. Football being money driven is a fact of life that many, whilst not liking it nor approving, have come to accept grudgingly. Though this alleged Super League is a step towards a monetary-driven footballing dystopia, which many may not approve of, welcome, nor renounce. Dissecting the 'UEFA Badge of honour': taking a look at the 7 clubs who have won it.